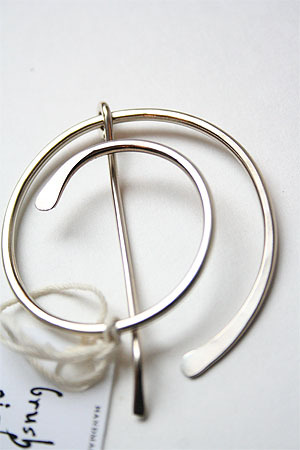 Light and easy to use on your hand made pieces, it is an elegant swirl of hand wrought nickel. The stick portion is attached to the pin and slides around to lock. Measurements are approximately 2 inches x 1.75 inches. All pins are hand made and will vary slightly in appearance.